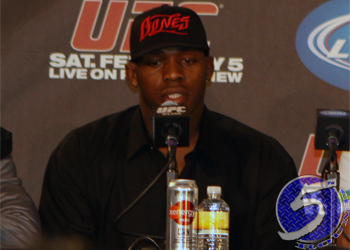 Make no “Bones” about it, Jon Jones is the baddest light heavyweight in bare feet. After outshooting Mauricio “Shogun” Rua on Saturday night at UFC 128 to become the youngest champion in Octagon history, ESPN’s SportsCenter immediately broke down Jones’ greatest accomplishment for the mainstream world to see. Jones not only entered the highly anticipated matchup with more hype than any non-champ in MMA history, but the 23-year-old was also a 2-to-1 favorite to dethrone the Brazilian. After witnessing the opening round, it was clear why – on both counts. Although Shogun managed to survive an early mauling, Jones really turned up the heat in the 3rdRound and battered him like no man had done before. Jones will make his first title defense against teammate (former) Rashad Evans. UFC 128 took place Saturday night inside the Prudential Center in Newark, New Jersey.